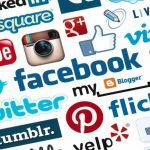 Social media is an extremely powerful tool for removalists and removalist business owners throughout Australia and the world. 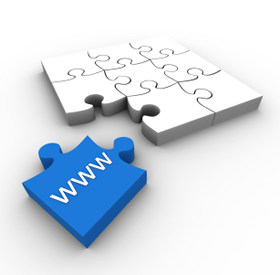 It allows you to interact with potential clients, possibly driving more business through your website. 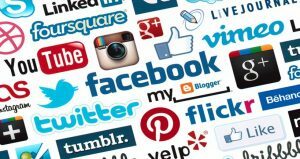 One of the most useful social media platforms for removalist business owners is Facebook. A huge percentage of Australians are active on Facebook, making it a great way to reach a lot of people without too much effort. However, Facebook has become more competitive over the last few years. It’s not as easy to use for business purposes as it used to be, which means that you have to make sure you’re doing things right. The following tips should help you build a strong Facebook community for your removalist business. They key to building a strong community around your Facebook page is getting relevant people to like it. It’s important to make sure that you don’t just buy irrelevant likes, otherwise you’ll probably just be wasting your money. It’s a good idea to get familiar with page like ads. Target them to people who are relevant to you and your business, and who are likely to use your services in the future. Make sure that you include geographical targeting, focusing on people who live within the area that you service. Google Adwords has to be one of the most advanced advertising platforms right now. It can easily cater to the needs of big companies, small companies and even those that come in the middle. Adwords marketing allows them to advertise their products and services to potential customers easily within hours. If you have also been using the platform, you know there are so many options to choose from in terms of targeting. These different settings allow Google Adwords to facilitate different kinds of businesses. The massive number of options can become overwhelming and frankly difficult to understand. When you’re launching a new campaign, it can easily eat up a large chunk of your marketing budget without getting to the goals. This can result in literally thousands of dollars spent on Adwords without reaping its benefits. This is why we have put together this article for you. The tips will help you understand how to use Adwords marketing efficiently. This way, you will see a healthy return on your investments and get the most value for investment. The first tip for your Adwords marketing campaign has to be a well structured account. It is necessary if you want to use it to provide you good results. Relevancy is the key for a well structured Adwords account. Did you know that the Cost Per Acquisitions can fall by more than half by improving the account structure? The keywords, ad groups and ads for every campaign have to be related. This results in Google reducing the advertising costs for your campaign. Most websites live or die in proportion to the amount of traffic they get. The exception is those where the site owner has a substantial budget which they can use to buy traffic. For the websites who rely on organic and free traffic, SEO is required to boost the website’s ranking in the search engines, and the subsequent increase in traffic that brings to the site. There are hundreds of techniques and SEO strategies that can achieve this, but in this instance, we are going to look at just one, called the ‘Skyscraper Technique’. This process has doubled the traffic to some of the websites who have used it, and whilst there no way to guarantee a result like that, if it is used correctly there is no reason why it shouldn’t boost your website’s ranking and the traffic coming to it. 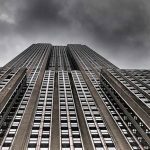 At this point, you might be imagining the Skyscraper Technique’ is some long, complicated process where you must create hundreds of backlinks, use blackhat SEO tricks, and commit countless hours of your time. The fact is, it is none of these. It is a very simple process and as is often the case, the simpler the technique, the more effective it is. 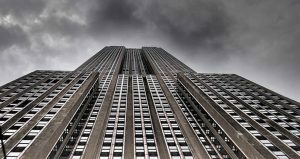 The Skyscraper Technique can be broken down into three distinct steps, and you do not need to be an SEO guru to be able to do any of them. The first is the simple matter of searching Google with the search term or terms you want to rank for and clicking through the websites that appear in the results. What you are looking for are websites that have lots of good content and have obviously built up a lot of authority within your niche, due to the number of other websites linking to it. Using a tool like ‘Ahrefs’ you now want to analyse where all the backlinks to that piece of content are coming from. Ideally, you want to identify other websites, with good authority, within your niche that link out to the content on other sites. 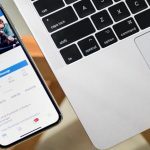 As difficult as it may seem, there are easy steps you can follow to make a killer social media marketing strategy whether you use a digital agency or work on your own. Social media marketing has to be one of the most amazing things. At the same time, it can be quite overwhelming. There’s a lot you will hear about how making social media marketing strategies is like magic. It’s obvious that getting social media marketing right is always going to be a difficult task. The thing is that it is all very new for the world compared to traditional marketing. It’s also difficult because social media is constantly evolving. This is why you shouldn’t look at social media marketing tactically. Instead, it should be approached strategically. If you’re overwhelmed thinking about how to create a social media marketing strategy, don’t be. We’ve defined a few steps to make it easier for you to create a killer social media marketing strategy. 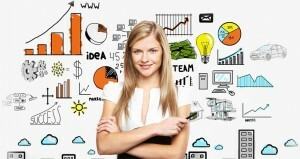 Determine the goals and objectives you want to achieve with social media marketing. Just like any good marketing strategy, the first thing you need is to know what you want out of it. You should be clear on how you will measure your goals. You need to know how you can prove the ROI for your investment in social media marketing. The purpose of your social media marketing has to be taken into consideration. Are you trying to create more awareness for the brand? Are you trying to generate more sales? Are you trying to keep more customers on board? Do you want to drive more traffic? These are all important considerations. Choose whichever of these that reflect your brand’s business goals. Once you have them, set the metrics of how you will map the achievements of these objectives. 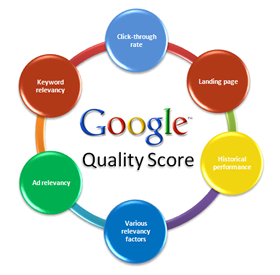 High-quality content is one of the keys to search engine optimisation, or SEO. 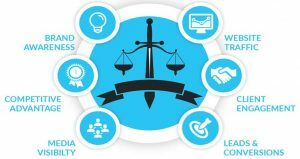 SEO can be very competitive for law firms and lawyers, which means that you need to do everything you can to put yourself above our competitors. This includes creating well written blog articles and web pages which bring value to your readers. Keywords are an essential feature of SEO optimised content. An example of this would be ‘Lawyers Perth‘ for a Perth based law firm. Ideally, you should identify one primary keyword and a couple of secondary ones for every piece of content. Keyword placement is very important. You should try and include your primary keyword in your title, first paragraph, and spaced evenly through the text. Don’t overstuff or use keywords in an unnatural manner, or you will be penalised by the search engines. Having high-quality, relevant images is also a must for SEO optimised content. Choose pictures which are going to incite a reaction in your audience, rather than generic ones which don’t bring value to your blog. Name your images and include an alt text with your primary keyword. AdWords is Google’s renowned online advertising service which allows you to develop and grow your business by reaching new customers. It helps you market your products and services in Google’s search engine and its affiliated sites. You control your ad in terms of where it appears, what kind of audience views it, what your budget should be; and these are only some of the many aspects you can control. It even allows you to measure the impact your ad has on viewers and potential customers! Google AdWords assists your marketing by the use of placed texts which appear when individuals enter keywords. Your ad appears in the form of a “sponsored link” which utilises a PPC (Pay Per Click) system. This means that you only pay for your ad when a potential client clicks on it, which is efficient in saving costs and cutting down unwanted inbound traffic. The more you choose to pay for your ad, the higher it appears on Google’s search engine, which is important because 87% of people don’t bother looking past the first page of search results to find what they’re looking for. If they don’t see your website on the first page, that customer automatically becomes your competitor’s customer. 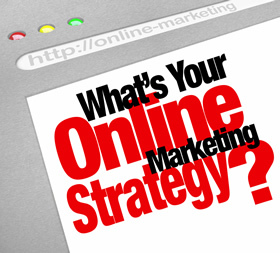 We already know the pros and cons of both traditional and online marketing. 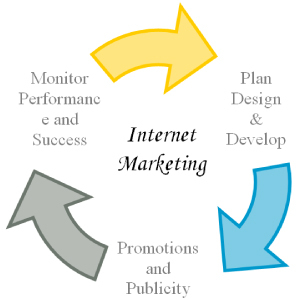 Let’s move a step further, focusing on online marketing specifically, which is also known as inbound marketing. Many buyers all over the world use the internet for buying products, using sites such as Amazon.com and eBay. Even if choosing to purchase merchandise from “real world” stores, they tend to refer to the product online for reviews specifications to see if it meets their needs. 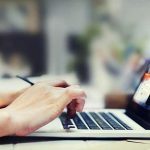 Even though the inbound marketing allows you to target a wider range of audience world-wide, you would be surprised to learn how internet marketing and traditional marketing are similar in the sense that they are the exact opposite of each other. You can consider it be a “reflection” or “mirror image” of traditional marketing. The buyer approaches the seller (whereas in traditional marketing it is the seller that approaches the buyer with the goal in mind of making sales and generating revenue.) This becomes a mirror reflection of traditional marketing automatically. Sellers don’t need to find buyers – buyers need to find sellers. Which, in essence, means that the seller needs to make efforts online to make sure their products pop up before their competitors’ (which is most efficiently done via Search Engine Optimisation, among other techniques). 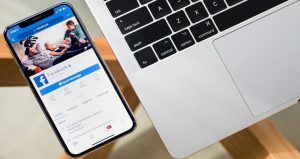 However, this requires less effort on the part of the seller in terms of “active marketing” and could prove to be more beneficial in the end. Traditional marketing, also known as untargeted marketing, involves marketing strategies which, instead of targeting a specific population, targets everyone in your state or city. One of the biggest disadvantages of traditional marketing is high investment but minimal results. These strategies generally include marketing via radio, television, print media, using marketing vehicles, and billboards or hoardings. Traditional marketing techniques are generally used by companies who are already well-established and recognized but must continue marketing for the sake of maintaining their market share. This offers little chance for actual growth. As we mentioned, traditional marketing generally works best for companies and organizations that have already acquired recognition in their market. Continuing to market using traditional methods helps reinforce the company’s image in terms of services offered, new promotions, and maintaining customer loyalty. Basically, their purpose is to make sure people don’t forget that they exist, so they need to make appearances in the market every now and then. Decreased chance of delivering a memorable message to potential customers in case they want to purchase your product immediately. Will your ad be heard and seen by your target audience or will it be mentally blocked out? Will your ad and its content leave a positive or negative impression on your company? Is your ad powerful enough to draw a response from the masses? Will your ad be memorable and enticing enough for people to respond to it later? Does your competitor offer better services or values? Internet marketing is considered a more non-traditional, yet effective marketing strategy as it’s considered to be “targeted” marketing for the specific audience you wish to captivate. 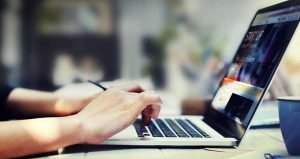 It tends to cost less compared to traditional marketing, as internet marketing charges on a pay-per-click basis (you’re only charged for your advertisement when someone clicks on your banner on a web page). The main benefit of this, which ensures that you pay less, is that only individuals who will actually be interested in your product will be likely to click on your ad, whereas others who aren’t interested would simply overlook the ad, and there is no charge to you. KISSMetrics puts on their Vincent Flanders gloves and pull no punches in telling us The Top 10 Reasons your Home Page Video fails at Converting Customers. Be prepared for lots of frank talk that gets to the point. But it’s very, very necessary. Video production is a hugely more expensive undertaking than just cranking out a page of text content. For good video marketing preparation, you need: Script, actors, sets, processing and effects, editing, mixing, and then committing to whatever format you use to play it – and then pray it will work in all browsers. For that kind of investment, we see a lot of low-quality videos out there. You have to think twice about this, because people will read almost anything, but will silence an annoying video or skip a boring one in a heartbeat.